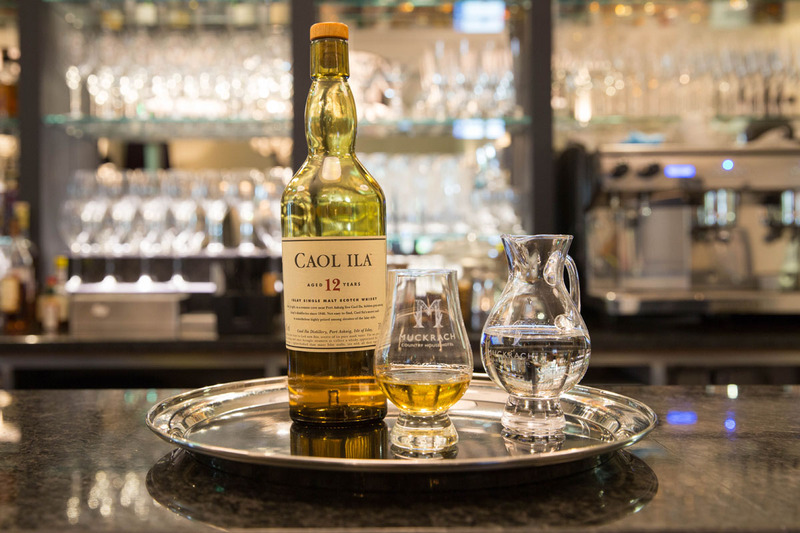 January’s whisky of the month is the Caol Ila 12 YO; an Islay malt. The name – pronounced ‘Cull-eela’ is Gaelic for ‘Sound of Islay’. The distillery is appropriately hidden in a cove near Port Askaig on the Island of Islay. It is famous for its powerful pungent smoky malt whisky. This whisky has sweet cured meat aromas, with hints of green apples, pineapple and vanilla. An excellent after dinner malt.